Thoughtful and well-written review, Carolina. It helps me realize that I’m still not up to this book. Maybe one day I will be, but wow, it has a bunch going on! Thanks for taking the time to write it all out. Thanks Jen! Honestly I feel like there’s a lot more I could have talked about, I feel like I didn’t even scratch the surface and this review is 2.3k words as it is. I think that’s perfectly normal, it took me a long time to read this book, and I don’t know if I would have done it if I hadn’t bought it in a spur of the moment decision before knowing much about it. 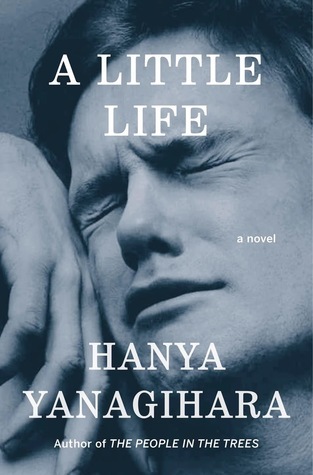 For me this was one of the most depressing books i’ve ever read. I usually enjoy character driven stories but this was just too much in some places. If there was a point to any of it, it flew past me for sure. I get that, I read it during a time where my life was pretty good and I was in a very good headspace, and it still brought me down. I found myself talking about this book with people to exorcise my feelings which isn’t something I’ve ever felt the need to do before. I think those conversations were great though, and maybe helped me see this book in a more positive way than I would have in other circumstances. hehe yeah I’m amazed when authors put very simple things in their books, thinking they sound profound. It’s also a pity the author told so much more than showing. Good that jude was an interesting character though. It makes sense why you have conflicting thoughts about it. Really awesome, thorough review! That segment with the speech was honestly puzzling, the whole time I was reading it I was picturing that dumb joker meme “we live in a society”, damn Hanya Yanagihara we sure do. I really can’t wrap my mind around this book, but I also remember it very vividly which doesn’t always happen even with books I really enjoy. I guess if pressed for a succinct opinion I’d say “it’s really something!” and call it a day. hehehe! Well that’s good to know! I hope you like it! It’s definitely one of those books you have to be in the right mindset for, but while it’s a hard read I don’t regret reading it. It’s also one of the books I’ve discussed with others the most, so if you’re someone who appreciates that in a book you might enjoy it even more.